Upon arriving to our farms, we are greeted by dew laced garden beds left from the crisp early mornings. It is this time of year when the last of the summer harvest is picked and beds are to be put to sleep. But even though fall is upon us, DC UrbanGreens remains in full swing! October has been a great month for DC UrbanGreens. We just closed out the summer with a celebration of the new season with a Garden Party. What better way to welcome fall than with partners that turn friends and delicious food? 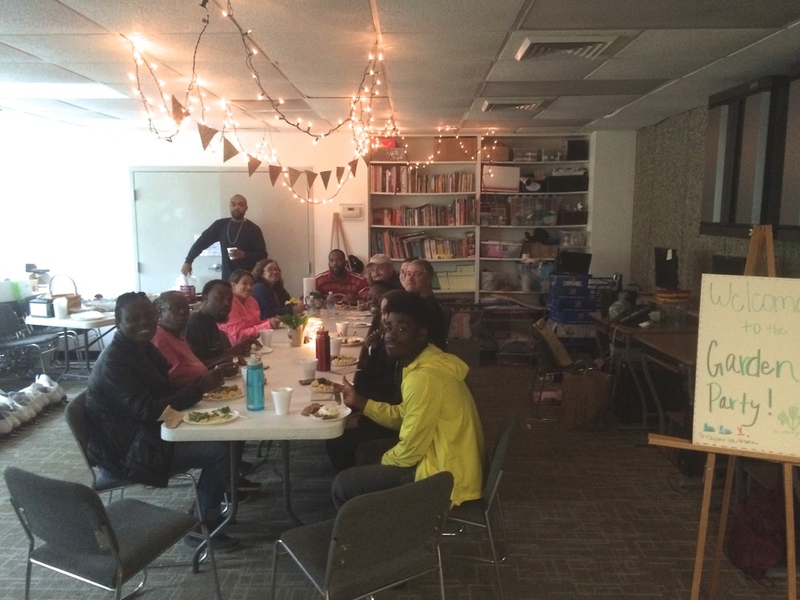 DC UrbanGreens and the Friends at Fort Dupont Ice Arena met on October 1 to pause and recharge for each of our exciting upcoming events. Not even rain from Joaquin could keep us from a good time! Our newest addition to DC UrbanGreens is a farm located in Ward 8 at 1812 Erie Street Southeast, Washington, DC. We are eagerly waiting for the installation at Fort Stanton and cannot wait to prepare the beds with spring flower bulbs and various cover crops to enrich the soil. For now, we are focusing our attention on planting fall/winter crops at Marvin Gaye Greening Center and Fort Dupont Farm. We are coming around the corner for the second week in October, do you know what that means?! National Kale Day!! October 7, 2015 DC UrbanGreens did their duty in celebrating this pungent veggie by seed starting 216 kale plants! Our seeding center is buzzing brightly with flats of hardy winter greens and various new vegetable varieties. As plants make their way to the prepared beds, the field staff continues to prepare our transplant vegetables. It is our goal to extend our growing season throughout the winter. 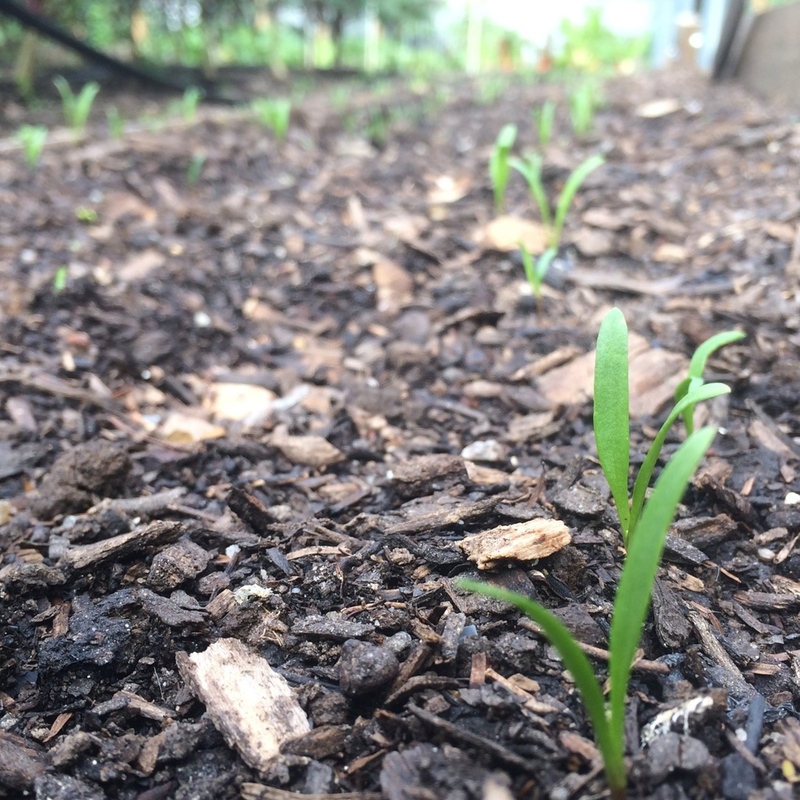 So, with spinach in the ground, corn stalks lining the greenhouse, and new seedlings to be planted, DC UrbanGreens remains excited for what this fall has to offer.